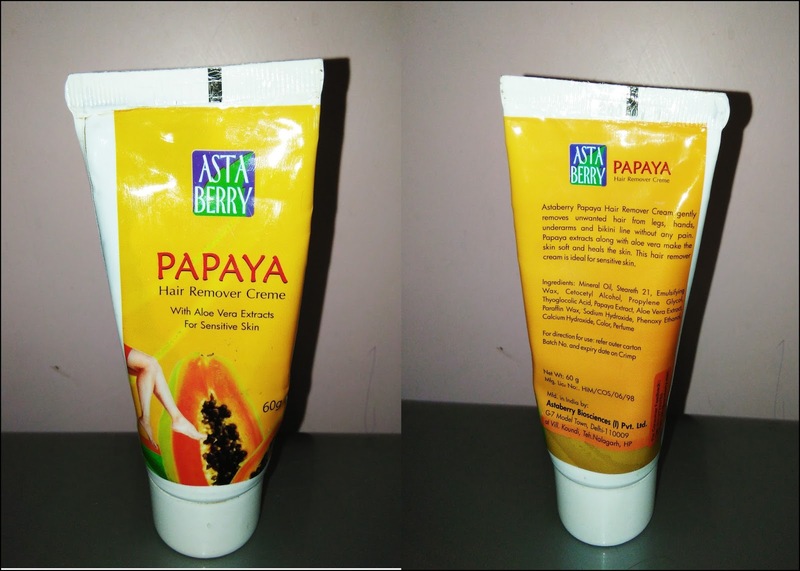 Product Description and Claim: Astaberry Papaya Hair Remover Cream gently removes unwanted hair from legs, hands, underarms and bikini line without any pain. Papaya extracts along with aloe vera make the skin soft and heals the skin. This hair remover cream is ideal for sensitive skin. Packaging: It comes in a tube packaging in a cardboard box. The pack also provides a spatula for easy removal process. 1. Use the spatula to spread the cream generously and evenly over the skin from which the hair is to be removed. Make sure all unwanted hair is covered properly. Do not rub in. 2. Leave the cream on fine hair for up to 7 minutes and on coarse hair for up to 10 minutes. Wipe off with damp cloth or cotton wool. 3. Wash with lukewarm water only (do not use soap). Dry with a soft towel. 1. The cream has a good consistency which is easy to apply. 2. It does not have any side effects. 3. Hair removal process is not really long and coarse hair are removed in ten minutes maximum. There are no cons according to me in this product. Will I buy it again? Yes, I have bought it many times in past and would love to buy this product again in the future as this cream suits my skin best till date. Is the price worth it? Yes! This is really an affordable product which you should go for if you have sensitive skin. Final thoughts: Astaberry products are a pioneer in the field of certified natural products. 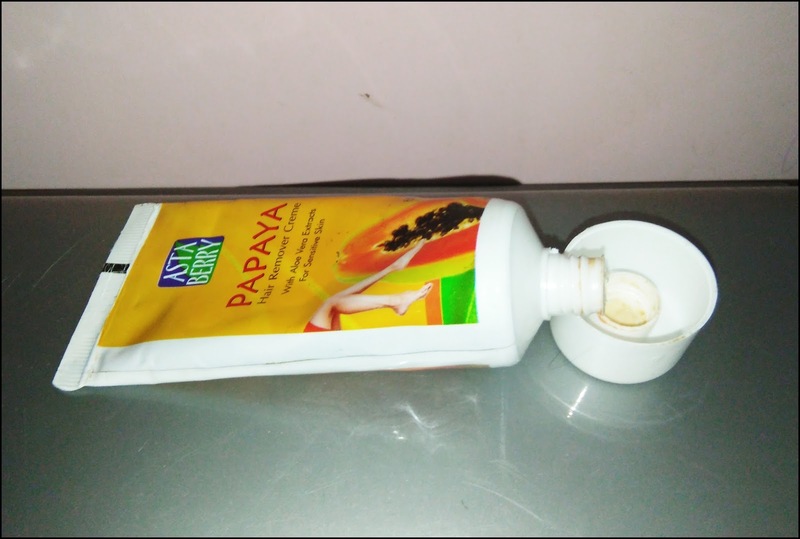 So, I prioritize this hair removal cream at the top as it is enriched with the goodness of Ayurveda and has no harsh chemicals in it. My skin is really sensitive and this is so far the best hair removal product for me as it doesn’t have any irritation on my skin.